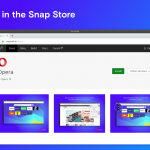 This May, Opera became the first major browser to ship a dedicated battery saving feature. This feature optimizes our Chromium/Blink based browser engine and user interface in order to give users more time to browse their favorite websites. Our tests showed that the feature increased the battery life by as much as 50% when compared to other browsers, such as Google Chrome. One browser we didn’t pay attention to was Microsoft Edge. Mostly because Edge is only available on Windows 10. This Monday, however, Microsoft released a video, similar to the one we made, showing Microsoft Edge winning in their test. Following the video was an extensive blog post and obviously a huge PR effort, and it was argued that the test showed that Edge beats Firefox, Chrome and Opera. Like most other engineering teams, we love it when someone picks a fight. If we get beaten in a test like this, we consider it a bug. 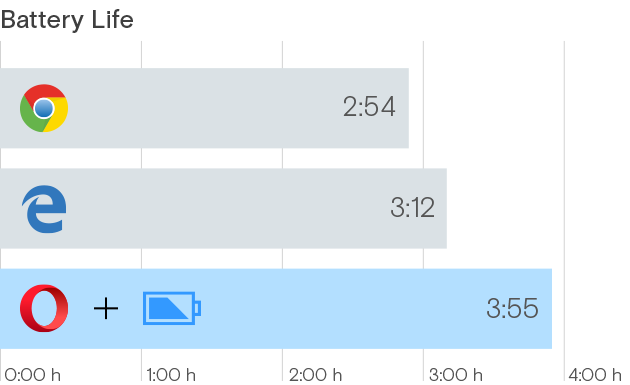 So our first step was to see if it actually is the case that “Edge gives longer battery time than Opera”? As Microsoft hasn’t revealed its full methodology, we were unable to run the same tests. The methodology we applied instead was exactly the same as we provided before: browsing a set of popular websites where the automation simulates interaction with the website, making it close to what we expect normal browsing would be on such page. 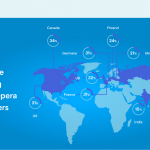 Opera Developer (39.0.2248.0) with native ad blocker and power saver enabled is able to run 22% longer than Microsoft Edge (25.10586.0.0) on a laptop running Windows 10, 64-bit, and 35% longer than the latest version of Google Chrome (51.0.2704.103). The detailed methodology is described below. Tests will never perfectly reflect the way real people browse, but there are ways to make some tests more reliable than others. For example, you can use a variety of different websites (video, news etc,) to imitate the way users browse. You can also use a special algorithm that scrolls these websites similar way real users do. This is what we did in previous tests, and this is what we did when comparing Opera to Edge. The browser is by far the most used application on both laptops and desktop computers, and for users it is undoubtedly beneficial that browsers are improving and competing. 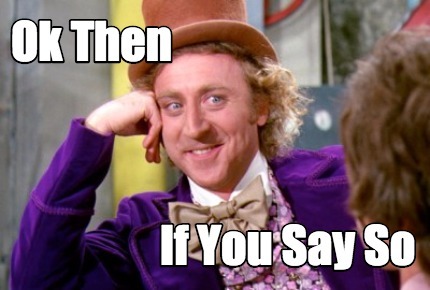 However, if Microsoft really wants to prove that its browser performs better than others (in any regard), the company should be transparent about its methodology so that others can replicate it. Better luck next time, Microsoft! We used a Lenovo Yoga 500, 14″, i3-5005U, 4GB, 500GB HDD, Win 10 using the balanced power profile. The backlight was set to 100% all the time, Wi-Fi was running in 802.11n mode with RSSI -53 dBm. There was no other software running in the foreground; indexing and background services were stopped. Laptops were placed on a wooden surface for similar heat exchange. Battery remaining capacity was measured once per minute. Step 4: Each minute, the present battery capacity was recorded.